Painting coffee filters using various media has many opportunities for creative play, process art, fun explorations and problem solving. Coffee filters are very absorbent and withstand water playing nicely. We found some wonderful creative process art ideas using coffee filters. Leaves, pumpkins, bats, turkeys, flowers - they were created through some fantastic sensory play! Fall Leaves Mobile from Miranda Made. This decorative mobile looks so festive - a perfect decoration for the holidays! "Stained Glass" Pumpkins from I Can Teach My Child. Kids will enjoy exploring different types of markers and using water to create these beautiful pumpkins. 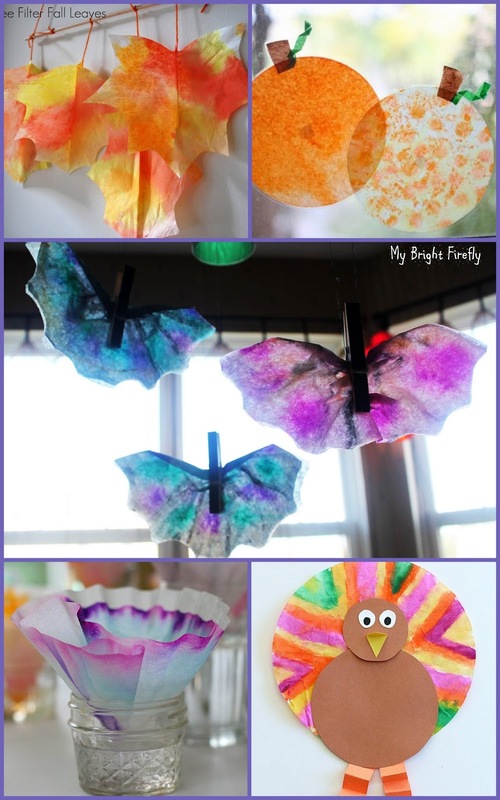 Coffee Filter Bats Process Art from My Bright Firefly. This opportunity to paint coffee filters has so many pretty options for some creative process art. My Firefly loves letting bats "fly" around the house, just has to remember these bats are nocturnal - they sleep during the day! Science for Kids: Chromatography Butterfly Craft from Buggy and Buddy. Use coffee filters to separate various pigments in markers. Such a beautiful science! Easy Thanksgiving Craft: Coffee Filter Turkey from Buggy and Buddy. Beautiful details make this Thanksgiving decoration very special. You can also find some helpful tips and a free template in this article. Sunflower Collage from The Imagination Tree. 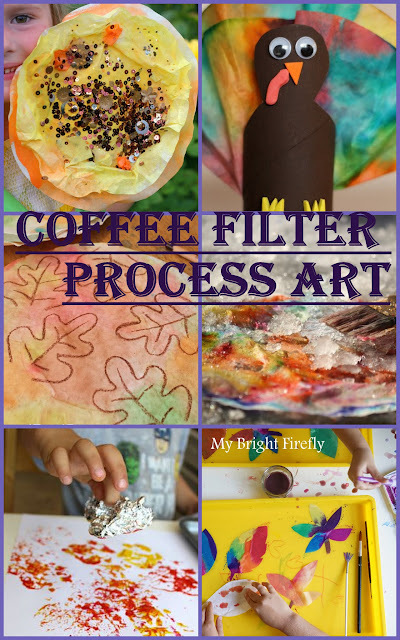 Mixed media and coffee filters are the perfect opportunity for creativity! Cardboard Tube and Coffee Filter Turkey Craft from Reading Confetti. Turkey's feathers are so colorful and so much fun to create! "Welcome, Fall!" Sign with Coffee Filter Leaves from Frugal Fun for Boys. Beautiful leaves make for a beautiful sign. Kids of any age will enjoy this activity! Painting with Snow from Happy Hooligans. They were painting coffee filters using markers and snow - such a fantastic painting technique! 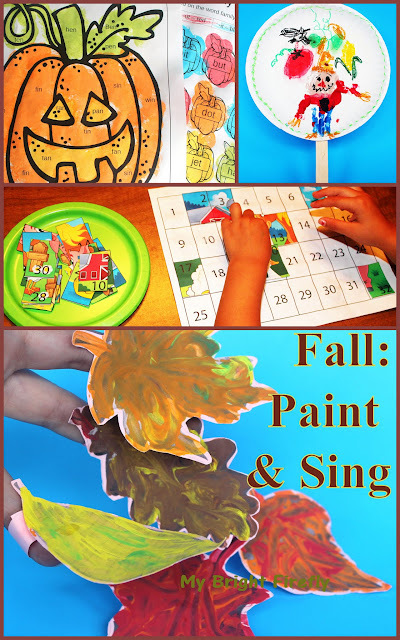 Foil Printed Fall Tree Art from Munchkins and Moms. This activity did not include coffee filters. I thought we should try it on filters though - that is a wonderful painting idea! Fall Craft Idea: Suncatchers from TinkerLab. Problem solving skills and bright colors are at play here!